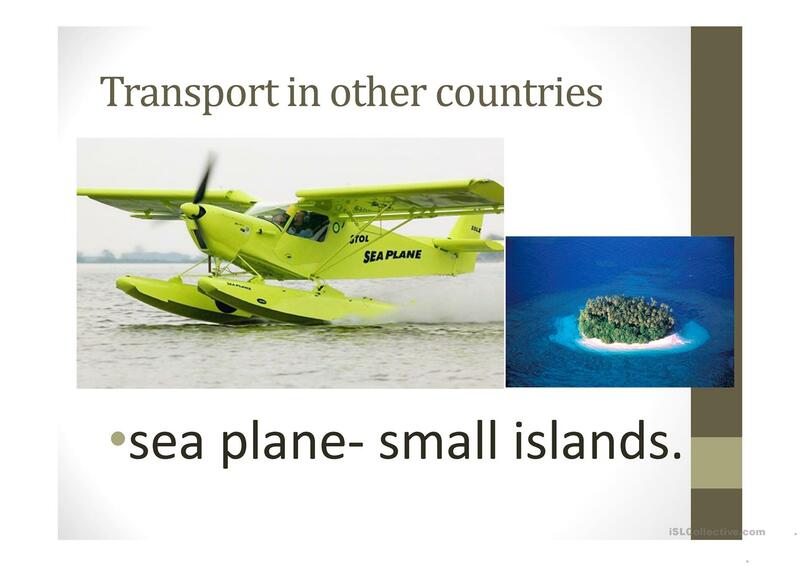 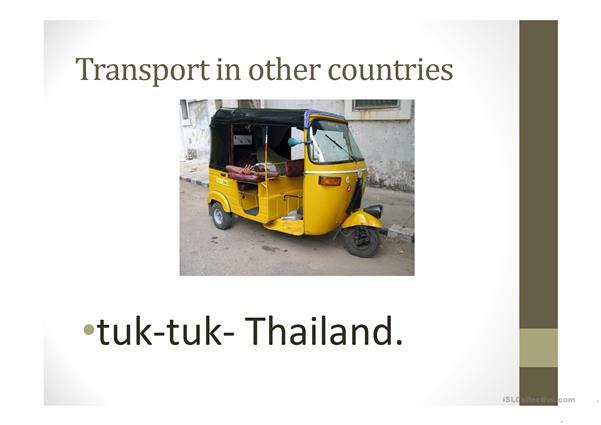 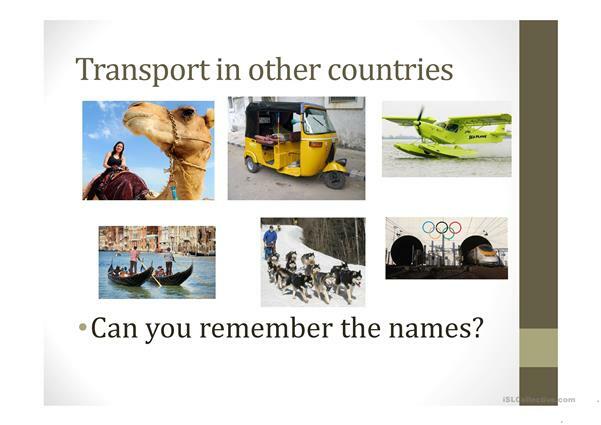 This is a PowerPoint where students guess the names of types of transport in different countries. 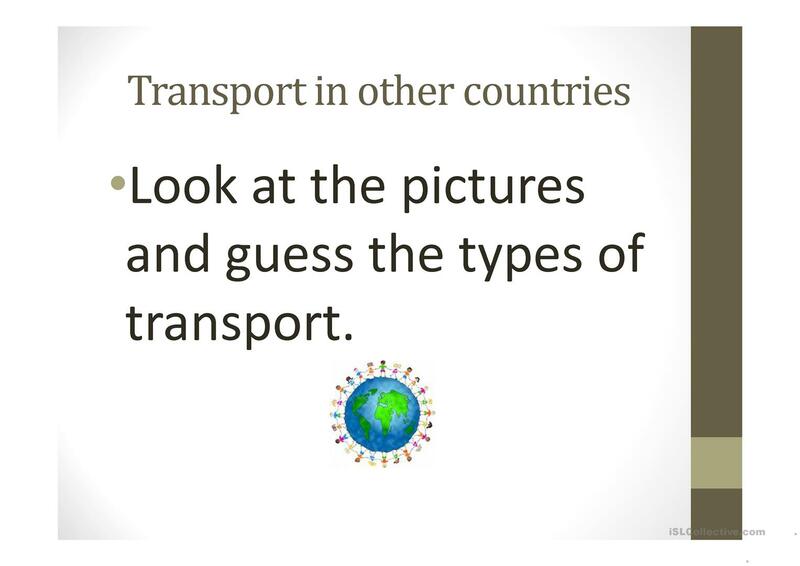 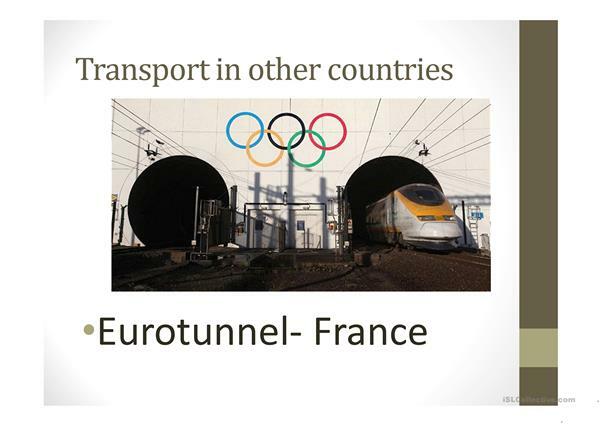 It can also open up a speaking activity about transport in their home countries. 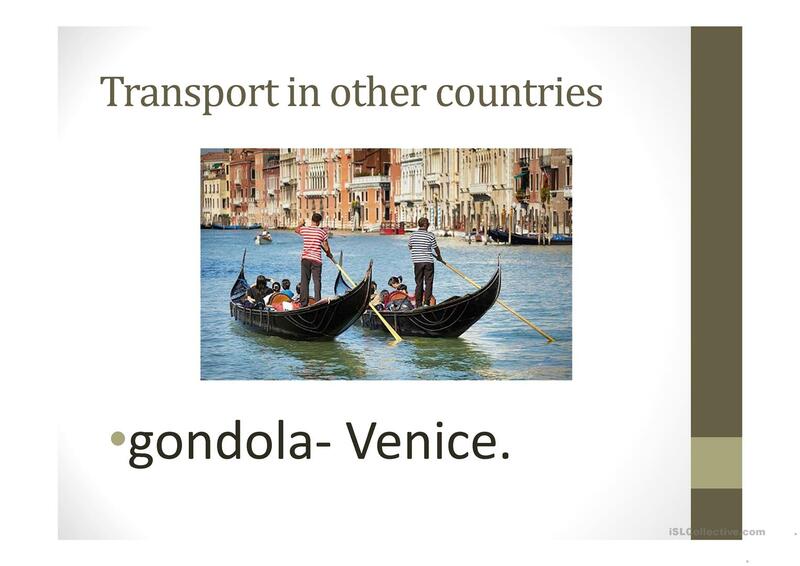 This downloadable printable is best suited for adults at Beginner (pre-A1) and Elementary (A1) level. 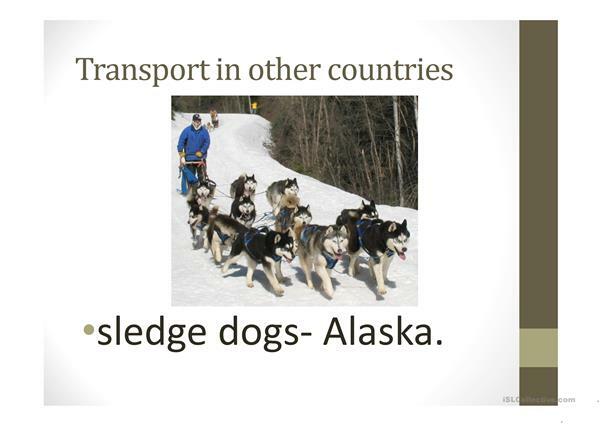 It can be used for strengthening your class' Spelling and Reading skills. 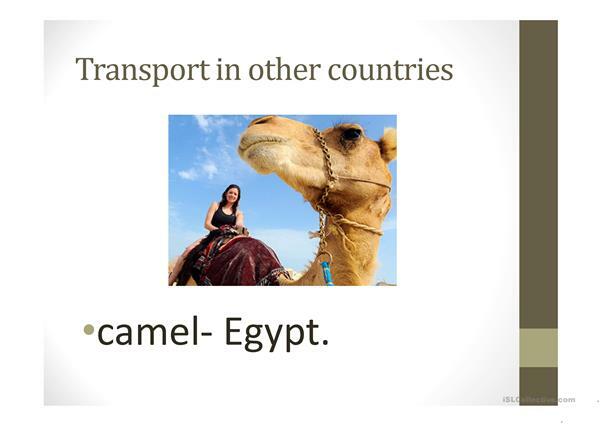 It features the theme of Means of transport.